Can't decide on what cheese grater to buy? Then you come to the right place as we'll teach you how to choose the best cheese grater that's worth your investment. After researching for the best products online, we round up five of the best graters that you can choose within a very reasonable price range. Our top five picks are chosen based on their popularity among customers. We evaluated all products based on versatility, ease of use, durability, and stability. To learn more about cheese graters and the brands that you can consider, keep reading below. Cheese graters come in various sizes and shapes. Here are the types of cheese graters that you can choose for your next purchase. 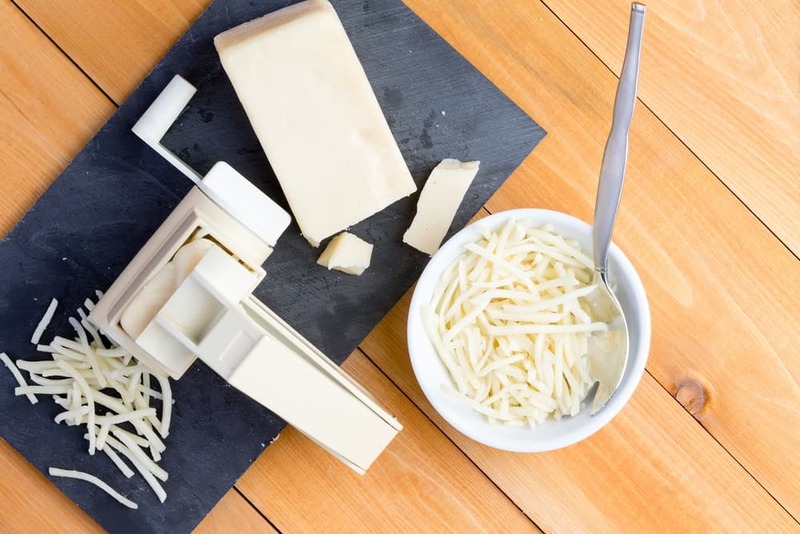 A box﻿ grate﻿r is perfect for both hard and softer cheeses. 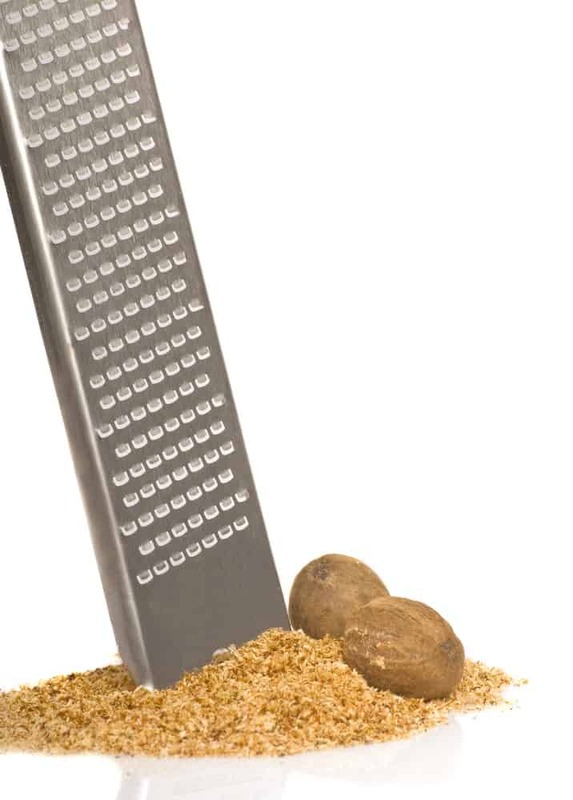 Most models are designed with a durable base and can grate harder vegetables. Usually, a grater has 3-4 grating surfaces and sometimes has an attachable container to catch grated foods. Microplane graters are easy to store due to their slim sizes. They're perfect for grating hard cheeses and can also work as zesters for citrus fruits. Although they can be useful for topping pasta with cheese, they're not suitable for grating softer cheeses. Rotary cheese graters are perfect for hard cheeses. As compared to box graters, rotary cheese graters are simpler to hold. Although they can be safer than microplane graters, they take much room in the cupboard. After use, it's best to clean the cheese graters immediately. For microplanes, you can just let them pass with running water. To remove some food particles that get stuck on the ridges, soak the grater in warm water and then clean the ridges with a toothbrush. If your unit is dishwasher safe, then the better. You can rely on the machine to wash the grater for you. A good cheese grater should grate more than just cheese. It should be able to grate vegetables, fruits, and chocolate. There are models which work doubly as a lemon zester and a cheese grater. The problem with some graters is it can only grate hard cheeses. 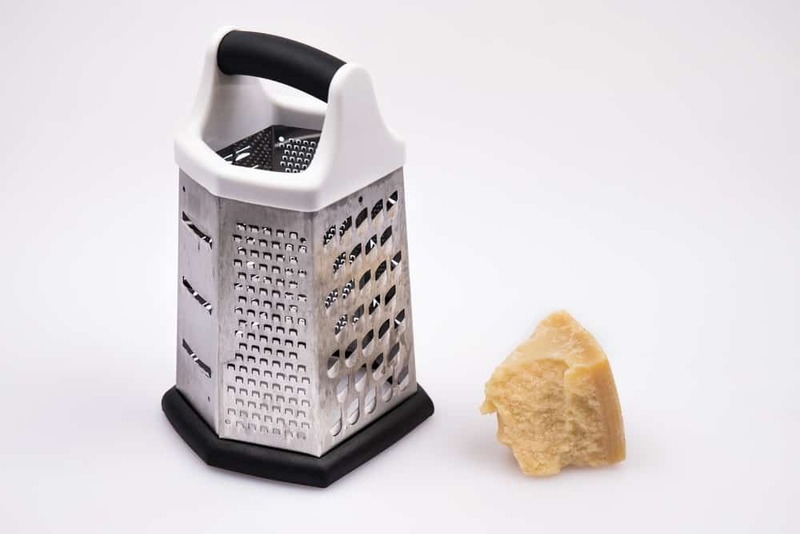 It would be the best buy if your grater can grate both hard and softer kinds of cheese. If you like versatility, the box grater is a great option due to its multiple grating sizes. 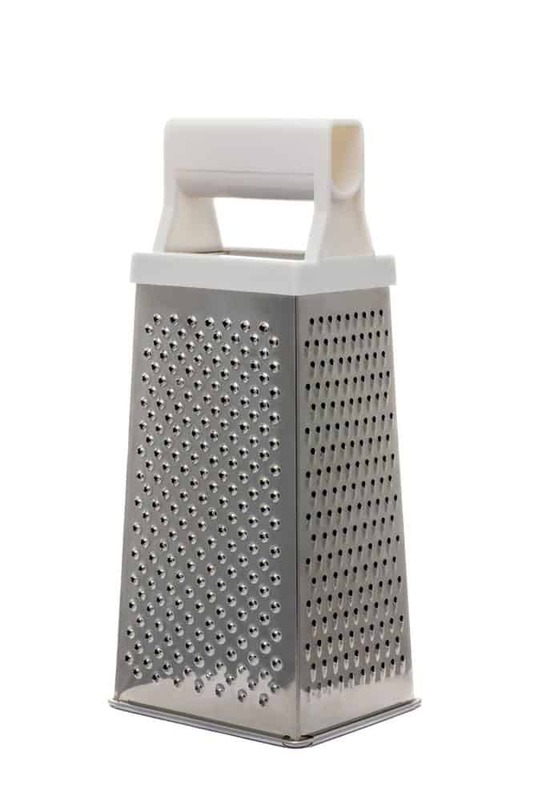 The convenience of a cheese grater can be determined by its soft grip and non-slip handle. You should be able to operate the equipment without much pressure and hassle. As possible look for a grater that creates a less mess and easy to clean. If you want your cheese grater to last longer, look for a durable model. Most graters are constructed from stainless steel for sharpness and durability. Unlike other materials, stainless steel is non-corrosive and relatively hard. Never choose graters that are made of tin because they tend to rust over time. Since graters usually have sharp holes, you can cut your finger if you slip into it accidentally. To prevent slipping, look for a cheese grater that is sturdy to hold. Most box graters have a non-slip bottom ring to keep the unit from slipping while grating. A good grater should be dishwasher-safe, so cleaning will be easy. Since the grater's teeth are mostly razor sharp, hand washing will be dangerous. If you like your fingers to be safe from cuts, look for a brand with a dishwasher-safe feature, so the machine will do the cleaning for you. Premium Quality Box Cheese Grater made by The Asian Slice seems to be one of the sturdiest graters out there; made out of stainless steel and with a large handle, it will withstand anything you throw at it. It is equipped with four very sharp grating surfaces, so it doesn't only work as a grater, but as a shredder, slicer, and zester, too. The mentioned sharpness comes with a safety feature – the bottom of this unit is covered in rubber to prevent any sliding. The unit is dishwasher-safe, making it easy and safe to clean after every use, and the rubber ring around the bottom is removable, which allows you to remove any food that got stuck under it. If you're looking for a reliable and versatile cheese grater, the Premium Quality Box Cheese Grater might be the one for you. The KT﻿ Kitchen Tools Cheese Grater & Lemon Zester can grate various forms of cheeses, like cheddar, mozzarella, and Parmesan. You can also zest citrus fruits with this tool as well. Thanks to its high-quality stainless steel blade, you can grate almost everything with so much ease. This handheld grater is easy to clean because you just have to let it pass under running water and it's dishwasher-safe. The handle is ergonomically designed to fit every hand and gives a safe grip. To protect your fingers from getting cut while picking it up from a drawer, a safety cover is provided. The Zylis﻿s Classic Rotary Cheese Grater is NSF Restaurant Certified which means that it conforms to the standards of public health protection. A fine drum is built to grate hard cheeses, nuts, and more. You can clean this unit easily by separating the handle and the drum. What I love about this cheese grater is its switchable handle to suit left or right handed users. This is dishwasher-safe so you can clean this quickly without using your hands. If you're looking for a reliable rotary cheese grater, then Zyliss may be your best option. The Microplane 40020 works as a grater and zester. It is developed to extract the optimum taste from your food. Built with a high-quality 18/8 stainless steel, you can ensure sharp grating edges and durability. The 40020 is suitable for hard cheeses, citrus fruits, and vegetables. An ergonomic black plastic handle allows you to have a comfortable and secure grip. If you need a good grater for hard cheeses and citrus fruits, then the 40020 may be your best bet. The Desiss PRO works double as a lemon zester and a cheese grater. It has a very sharp stainless steel blade that won't corrode. A non-slip handle enables you to hold the grater firmly.Unlike box graters, the Deiss PRO is easy to store with its slim design. To clean, just let it pass under running water. This unit works easily on hard cheeses, lemons, and hard chocolates. If you like a unit that works best as a zester, then the Deiss PRO may be your perfect choice. From the top five cheese graters reviewed above, the Premium Quality Box Cheese Grater By The Asian Slice is the best cheese grater because it has almost all the features that we're looking for in a good grater. The runner up is the KT Kitchen Tools cheese grater and lemon zester, followed by Zyliss rotary cheese grater, Deiss PRO, and Microplane 40020. Have you tried buying a cheese grater? Let us know your thoughts and suggestions in the comments section below. If you find this article helpful please share it as you please. There is more iron in parley than meat and easier for your body to absorb. It is a myth you need to eat meat iron or protein. Much better to get from vegie sources.